The music's got the energy of youth...but it's also got some life lived in it. Equal parts alt-country twang and garage rock bang...recalling everything from ZZ Top's greasy boogie to the Alabama Shakes' coed soul. Corey Parsons and Jeffrey Salter start picking at their guitars like they’re dialing up Waylon Jennings. Richardson responds with a howl, as if she’s crash-landing some Southern-fried Jefferson Airplane. And it’s on. If you think Alabama Shakes is too restrained and polished, this is the band for you. Perhaps more than any other band occupying this same territory, this is a band that respects the tradition of country, understands the roots, but also likes it loud. Sure, others have gone down this road; Jason & The Scorchers, drivin n cryin, Steve Earle, et al, but this is the first band to get the mixture right. Banditos are an adaptable beast, playing various flavours of Southern sound with considerable panache and foot-tapping flair. Banditos don’t operate under the guise of subtlety. 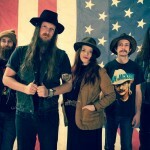 The Nashville alt-country outfit has built a reputation off of their gritty, whiskey soaked sound. 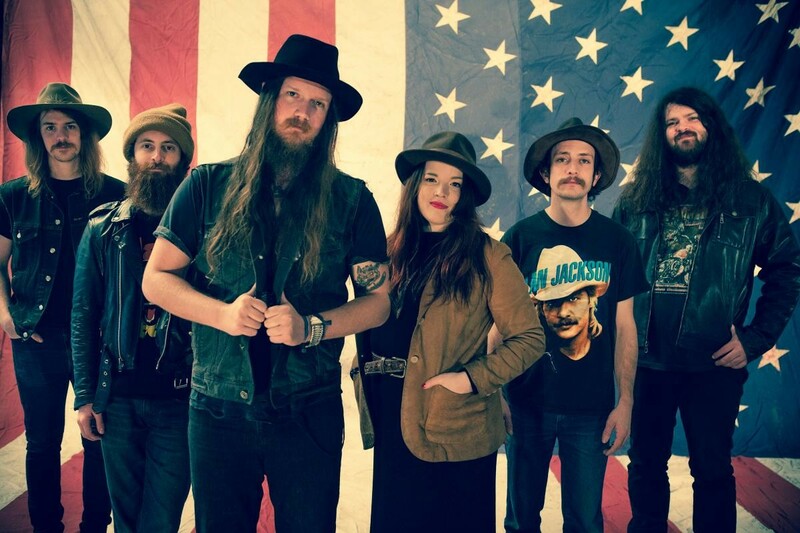 Banditos bring rock ’n’ roll fervor to material based in deep-country traditionalism. Twanging guitars trade licks with banjo pick-and-roll behind the twin lead vocals of Corey Parsons and Mary Beth Richardson, with thumping bass (sometimes upright) and drums driving the train relentlessly. The group came up in rowdy bars, and it shows. It plays to fill the room and turn it on. For fans of honest, gritty southern rock n’ roll. It's with the earthy, ragged-but-right feel they bring to their blend of hell-bound honky-tonk, roadhouse roots-rock, and field-holler folk...[that] they’ve made their presence felt among those with a passion for raw, rootsy music. With the rugged power of a flashy Super Chief locomotive, the Banditos’ self-titled debut album bodaciously appropriates elements of ‘60s blues-fused acid rock, ZZ Top’s jangly boogie, garage punk scuzz a la Burger Records, the Drive-By Truckers’ yawp, the populist choogle of CCR, Slim Harpo’s hip shake baby groove, the ebullient folk of electric Dylan, gut bucket Fat Possum hill country mojo and the Georgia Motherf**king Satellites. From backwoods bluegrass, to slinky nods to Muscle Shoals soul and unexpected bits of doo-wop sweetness, the Banditos recall many, but sound like no one but themselves. The members of the band first met playing in various punk and rock ‘n’ roll projects around Birmingham at D.I.Y., all-ages venues. In 2010, singer/guitarist Corey Parsons and singer/banjo player Stephen Pierce began busking around town and were soon asked to perform at their favorite local bar. Without a full band they invited friends Randy Wade (drums), Jeffrey Salter (guitar), and Mary Beth Richardson (vocals) to join them. Salter and Wade studied together at music school learning classical/jazz techniques, while Richardson’s background was mostly singing in church choirs. After some apprehensions from Richardson about taking the stage with an unrehearsed band, a last-minute trip to New Orleans with the group (which resulted in a stolen hotel Bible inscribed with the band’s lyrics) seemed to cure a case of the cold feet. 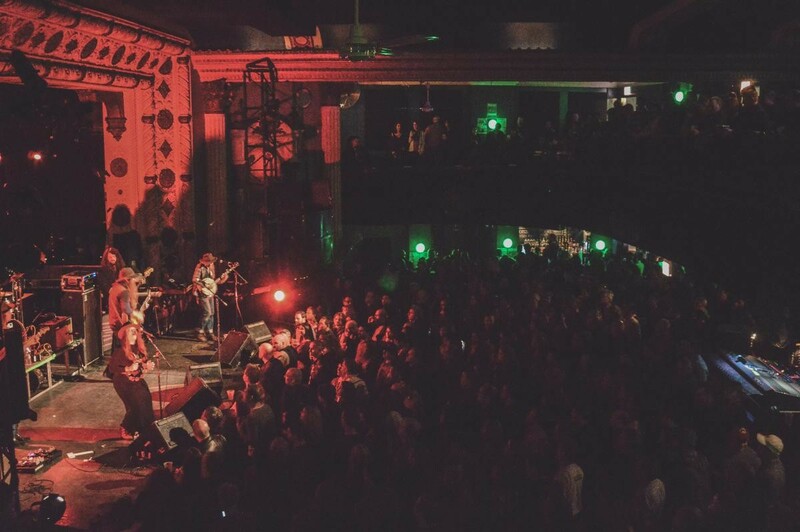 The ensuing performance was raw and electric, and an ecstatic crowd response further cemented the members’ convictions to become a full band. The addition of bassist Danny Vines made the group complete. The members soon moved into a house together in Birmingham, and after repeated tours through Nashville, decided to move the band there instead, where the music scene was bigger and more diverse. The sextet has since developed their unique and airtight sound, culminated through several years of enduring friendships and a roaddog touring schedule that has, at their count, numbered over 600 shows in three years. The group has been praised by NPR (“Three vocalists, a wicked guitarist who also plays pedal steel, a banjo, an upright bass and a hot-footed drummer guarantee that every song they play is stuffed with crazy rhythms and melodic energy.”), Rolling Stone (“Equal parts alt-country twang and garage rock bang...recalling everything from ZZ Top's greasy boogie to the Alabama Shakes' coed soul”), and Garden & Gun (“These six keyed-up twentysomethings mix a hodgepodge of sounds. Sometimes it’s barroom country backed by a rogue kazoo, and other times it’s a chicken-picking version of slow-burning soul behind the Janis Joplin–esque wail of Mary Beth Richardson”). 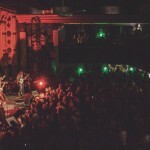 They have performed across the world supporting acts like St. Paul and the Broken Bones, Blackberry Smoke, and Old 97’s, and notably at prominent events like Newport Folk Festival, Hangout Fest, and Rachael Ray’s Feedback.